SAN FRANCISCO — In the end, the traffic jam of internal and external issues at Uber proved too paralyzing for its hard-charging co-founder and CEO Travis Kalanick, who late Tuesday night Pacific time resigned from the ride-hailing company he helped found in 2009. Kalanick stepped down after receiving a letter from some of the largest investors in the company, according to a report in The New York Times. The letter, titled "Moving Uber Forward," asked that the CEO depart immediately but also assist in the search for his successor as well as a chief financial officer, according to anonymous sources quoted in the report. Uber has been without a CFO, among a few of the company's vacant top positions, for a few years. The Times report included a statement from Kalanick. “I love Uber more than anything in the world and at this difficult moment in my personal life I have accepted the investors request to step aside so that Uber can go back to building rather than be distracted with another fight,” he said. Uber confirmed to USA TODAY that Kalanick's statement obtained by the Times was accurate. While the 40-year-old CEO's departure comes as a bit of a surprise given both his determination to stay at the helm as well as the support he appeared to have mustered from some key board members, Kalanick leaving also is the easiest way for Uber to signal to employees, investors and customers that it truly means to overhaul its leaky ship. Among the investors asking for Kalanick's resignation were representatives from First Round Capital, Lowercase Capital, Menlo Ventures, Fidelity Investments and Benchmark Capital. Benchmark partner Bill Gurley is on Uber's board, along with Kalanick and co-founder Garrett Camp. Kalanick will remain on the board, the report said. Because of the way Uber's voting shares are distributed, founders Kalanick and Camp are likely to both exert considerable influence on major company decisions even without being part of senior leadership. Whoever takes the top job at Uber will be facing a staggeringly broad array of challenges, so much so that it remains unclear just what sort of industry experience — technology? transportation? consumer products? — would best suited for the overhaul at hand. Kalanick departs as Uber continues to grapple with a host of problems that range from a toxic and sexist work culture to pursuing aggressive business practices that often have skirted the legal line. One technological innovation, dubbed Greyball, allowed Uber to both track and send a fake app to regulators that might be investigating the company. Greyball is now being reviewed by federal officials for possible criminal charges. And after buying a new self-driving trucking company called Otto last summer for around $680 million, Uber quickly learned in a lawsuit filed by Google's self-driving car company Waymo that Otto's founder and Uber's new head of self-driving tech, Anthony Levandowski, had apparently stolen thousands of trade secrets files from Google before leaving. Levandowski has been among a series of top Uber executives who have either resigned or been fired since the beginning of the year. They include senior vice president Emil Michael, who was a longtime confidant of Kalanick as well as a controversial figure in a range of Uber missteps that include illegally obtaining the medical records of an Indian woman who was raped by her Uber driver. 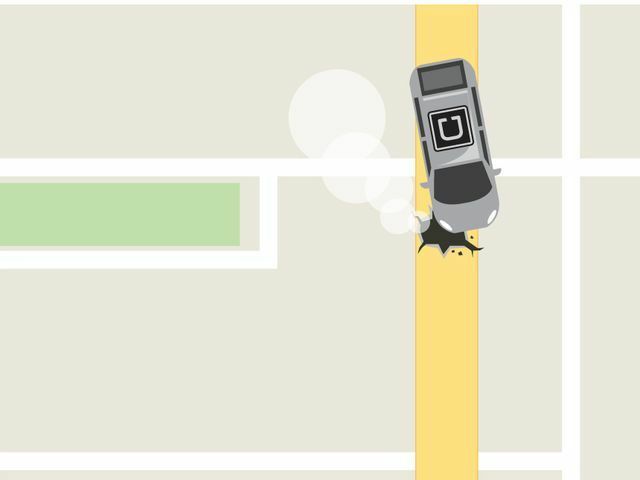 The February blog post of former Uber engineer Susan Fowler led to a three-month internal investigation by former U.S. Attorney General Eric Holder, whose recommendations, released last week, included tighter oversight of the company's board and senior executives as well as an overhaul of its human resources practices. Kalanick has long been seen inside and outside the company as integral to both the company's meteoric rise as well as its recent crash. Kalanick shrugged aside opposition from taxi unions and municipal officials to barge his company into hundreds of cities in more than 80 countries in just eight years. In the process, his tactics rankled rivals and regulators but also contributed to Uber being able to raise upward of $15 billion and become the world most valuable tech startup with a valuation approaching $70 billion. But inside a company that was quickly mushrooming in size — Uber doubled to 10,000 employees in 2016 alone, and now has 12,000 on the payroll — all was not well. The extent of the dysfunction was made plain in Fowler's post, which described an environment where not only was it common for a male boss to make a sexual advance toward a female employee, but that reporting such an incident was often met by shrugs from HR and warnings that further complaints could mean a bad review. By all accounts, Kalanick appeared to be shocked and chastened by Fowler's revelations. In February, he held emotional meetings with employees, vowed to seek assistance with his management style, and embarked on a search for a chief operating officer who would be his decision-making equal. All the while, Uber board member Arianna Huffington and other executives continued to support Kalanick as CEO, suggesting that he was capable of change and possessed the drive the company needed to continue on its ambitious mission. Throughout the past months of turmoil, Kalanick himself kept a low profile, canceling tech conference appearances and shunning interviews. Then in late May, Kalanick's mother and father were involved in a boating accident near Fresno, Calif.. His mother died, and his father has remained in serious condition. The CEO, who is close with his parents, raced to their side and has been on an informal leave of absence since. Last week, just before Holder's recommendations were made public, Kalanick announced that he would be taking an indefinite leave and put the company in the hands of his leadership group, which consists of 14 senior executives. In the wake of that decision, corporate change-management experts told USA TODAY that such a leadership vacuum was likely to create further instability in a company that desperately needed a firm hand on the tiller. They also cautioned that while Uber might be the 10-ton gorilla in the ride-hailing space with lots of cash in the bank, a failure to address its internal leadership and culture issues could allow rival Lyft to fill the gap with disgruntled riders. A variety of studies have shown that Lyft has gained market share on Uber since the crisis hit, and that its brand is perceived as more rider- and driver-friendly. On Tuesday, Uber abruptly announced that it was adding a tipping option to its app, a feature that has long been a part of Lyft and something for which Uber's drivers had long been clamoring. But clearly there was also a push in a variety of powerful corners to truly jump start the company by asking Kalanick to leave. "You can change your company's policies, but without new leadership your culture won't change because the policies and the people won't be aligned," Micah Alpern, who consults on culture strategy for A.T. Kearney, said presciently last week. "At the very least, they need a new COO, a CFO and some sort of acting CEO, fast."